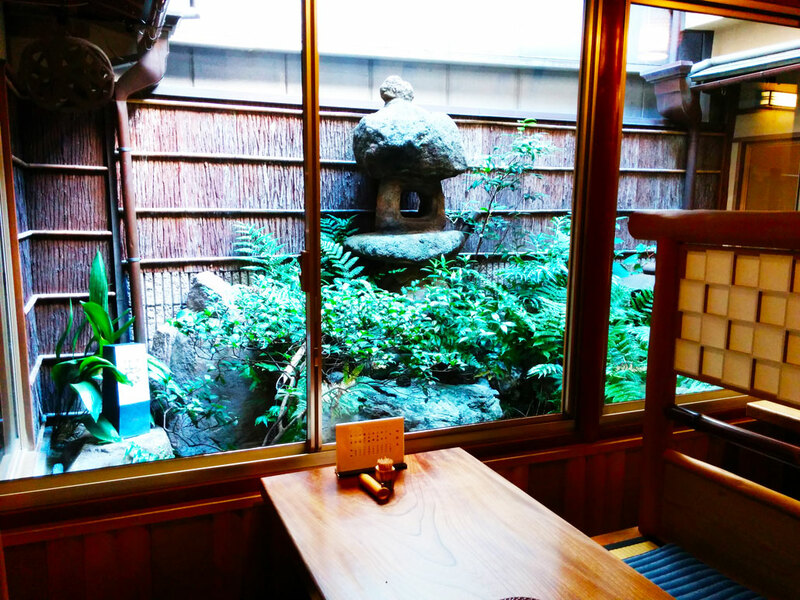 Ibasho is a grilled eel restaurant in Nagoya, which is renowned for its hitsumabushi. 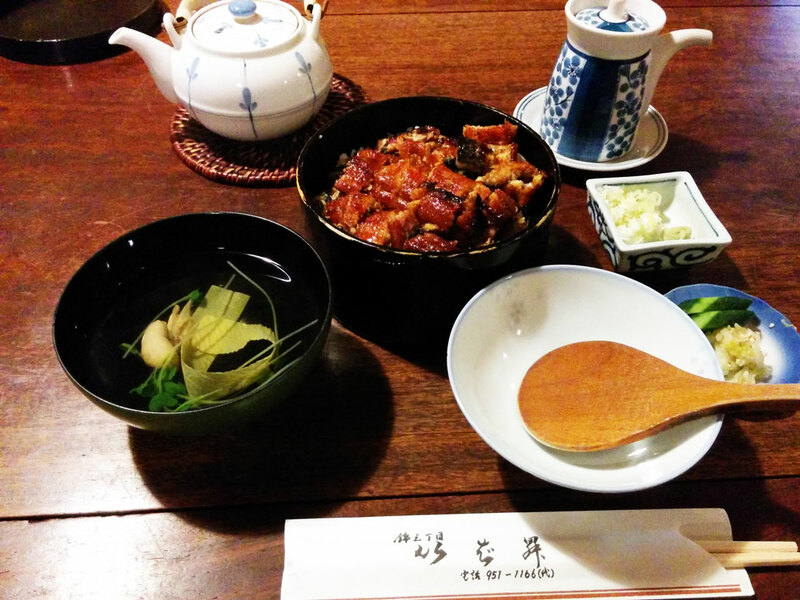 One of the specialties of Nagoya, hitsumabushi, is grilled and chopped eel on rice in a wooden bowl called ohitsu. 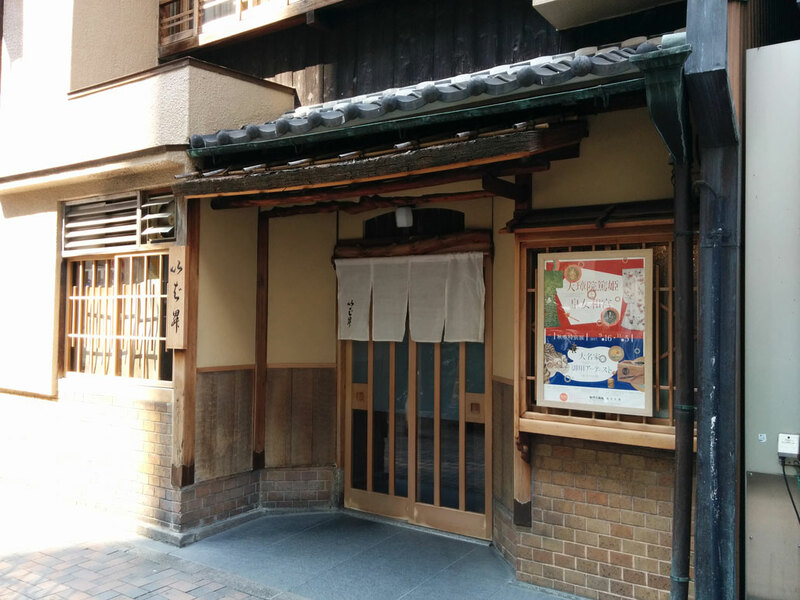 It was born in Nagoya in the Taisho Period (1912-1926), and Ibasho is one of the restaurants that are said to be the place where hitsumabushi was born. 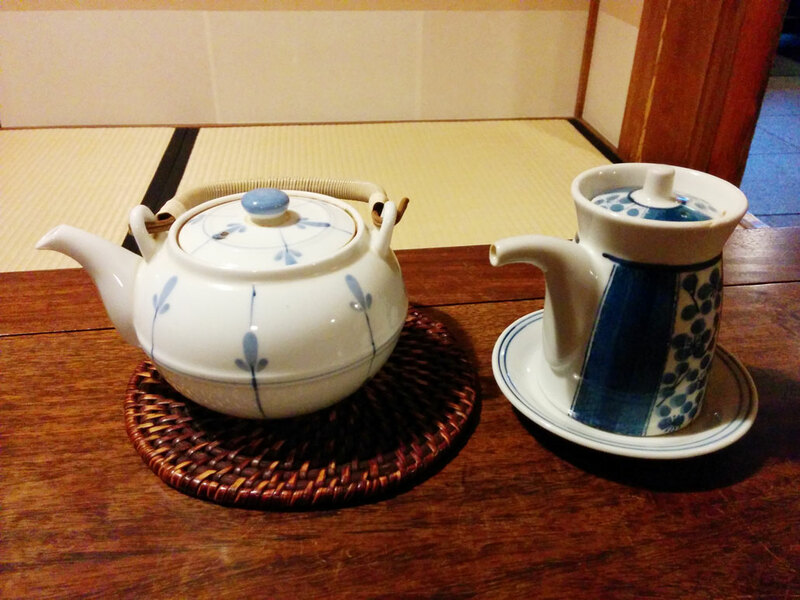 If you plan to visit Nagoya, you must go to Ibasho to try the traditional flavor. Ibasho is located in Sakae that is the biggest downtown area in Nagoya, but inside Ibasho, it has a quiet, relaxing atmosphere. 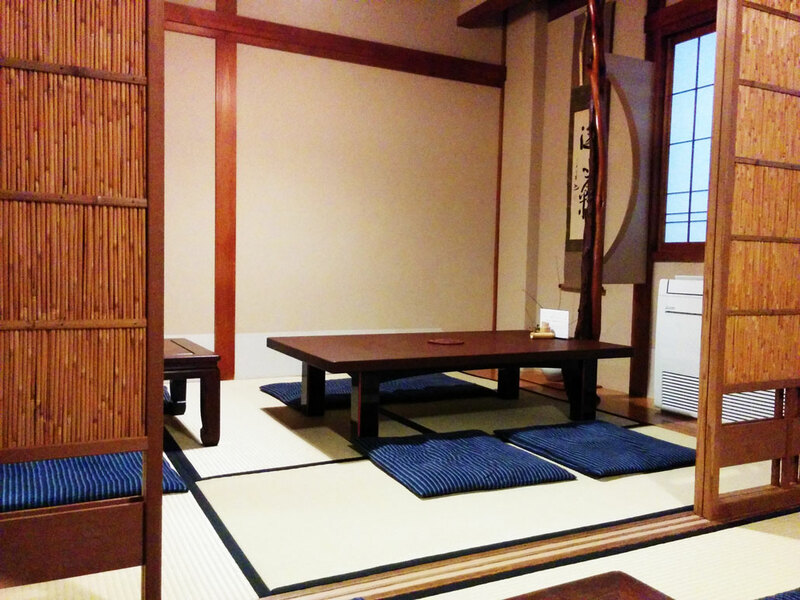 There are an enclosed courtyard and tatami mat floored rooms in the back side. 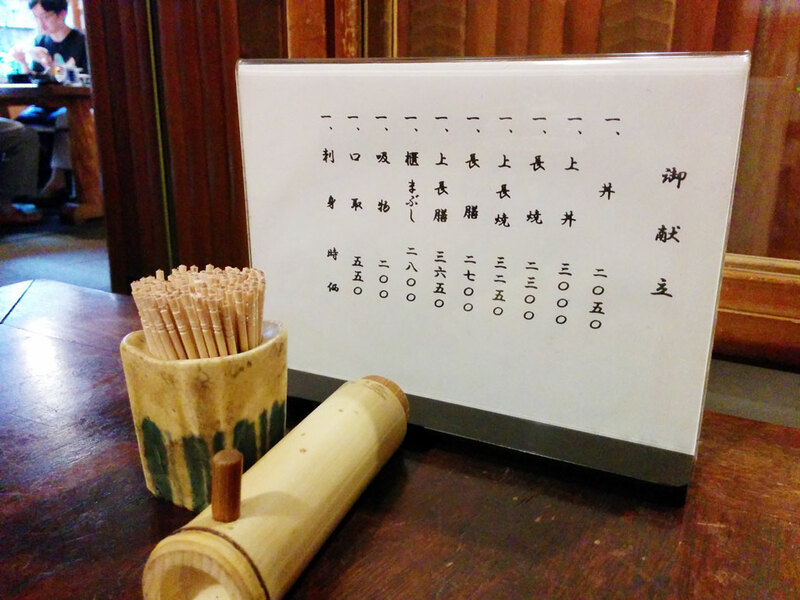 The menu includes various eel dishes. 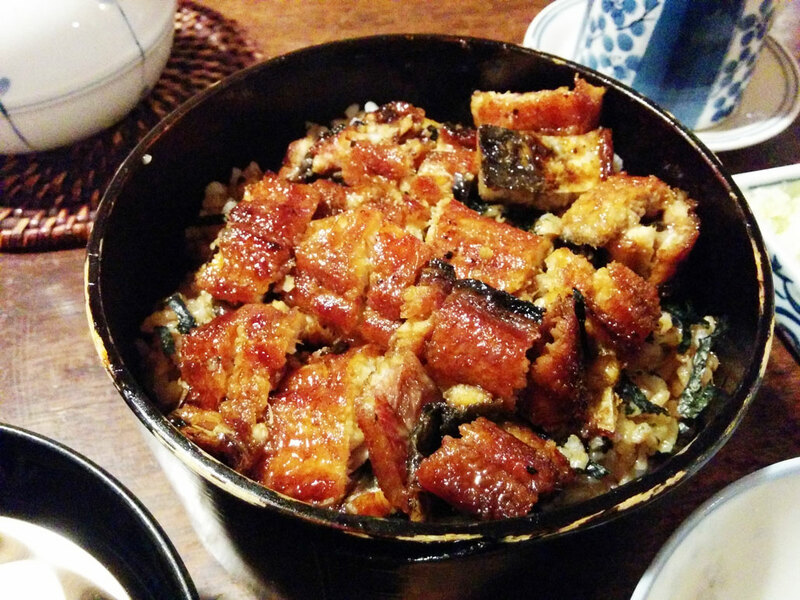 Of course, hitsumabushi is the best choice when you visit Ibasho for the first time. Hitsumabushi is 2,800 yen (in 2017). They have menus in English, Chinese and Korean, too. Look at the next picture. This is hitsumabushi (with soup). The red-brown sauce makes the eel look delicious, doesn’t it? Now, let me tell you how to eat it. Eat it straight. Scoop some eel and rice (with shredded nori seaweed on the rice) into the white rice bowl and eat them. The grilled eel is crispy outside and fluffy inside. It goes well with steamed rice. Add chopped spring onion and wasabi. 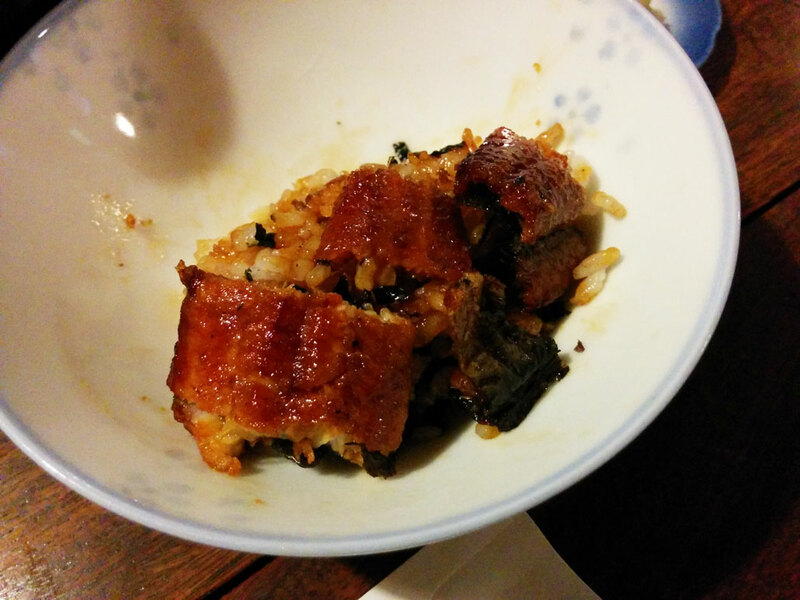 Scoop some eel, rice and nori seaweed into the smaller rice bowl again. Then sprinkle chopped spring onion on top, and add a little wasabi, or Japanese horseradish to give a kick to the dish. Be careful not to eat too much wasabi. It is very pungent! Again, put the eel, rice and nori seaweed in the rice bowl with spring onion and wasabi. Then, pour tea over it. This is what we call chazuke. Add some more sauce for the eel, if you like. It tastes sweet and salty, which may remind you of teriyaki sauce. After that, you can eat as you like. The eel is grilled with the strong sauce, so it tastes good when eaten with the spring onion and wasabi, or eaten as chazuke. Eat pickled vegetables with rice, too. There is no wonder people never get bored with hitsumabushi. 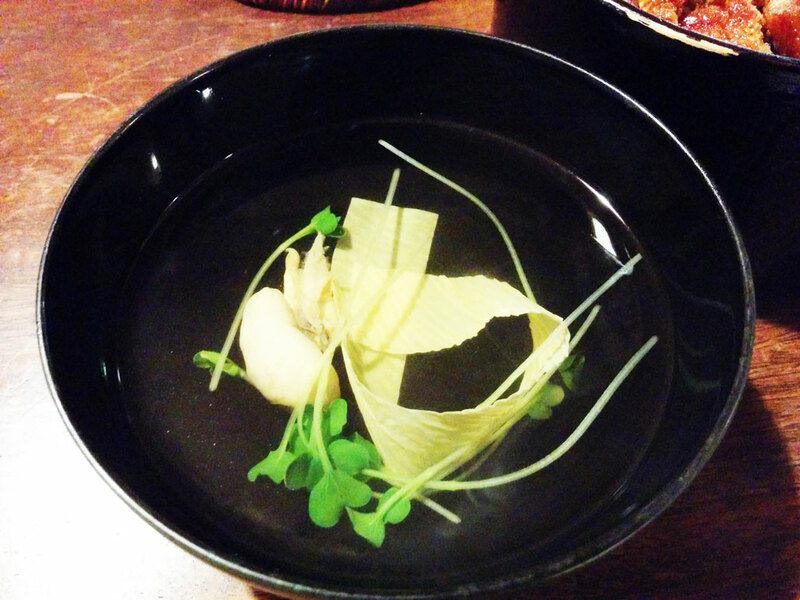 The soup is what is called osuimono. 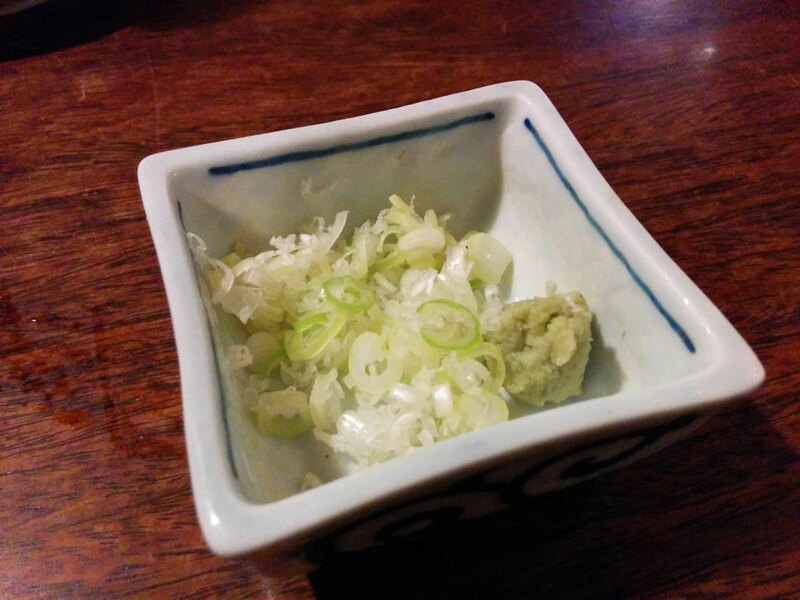 Ibasho’s osuimono has an eel liver in it. It may sound a little scary for the first time, but it tastes good. It is 200 yen. If you are a group of more than two, you will share 1 big ohitsu wooden bowl. This is the traditional manner of eating hitsumabushi, but you can also order 1 ohitsu bowl for each person if you want to. By the way, there is another grilled eel restaurant called Ibasho Honten in the Sakae area, too. It was separated from Ibasho a long time ago, and now it is managed by different members. Ibasho in this article is the older restaurant, and it is the one located in Nishiki Sanchome.